The historic town of Thatcham is nestled amongst prime Berkshire countryside, only three miles from Newbury and 15 miles west of Reading. While it holds the Guinness World Record as the oldest continuously inhabited place in Britain, the area has undergone major development, bringing all the modern conveniences. Nonetheless, this is an area proud of its heritage where many of the historic sights and community attractions remain intact. The weekly farmers’ market takes place every Friday, offering a chance to indulge in the local produce or marvel at handcrafted goods. Thatcham town centre is just as welcoming, known for its friendly character and 17th century architecture. Although most of the high street retailers make an appearance, the emphasis is placed on family-run and independent businesses. Outside the town centre and Thatcham’s residential pockets are met with scenic Berkshire countryside. It’s an appealing place for fans of the outdoors with no shortage of parks and walking trails to explore. The Nature Discovery Centre is cherished by residents – an area of beautiful wildlife overlooking the Thatcham lakes. The active individual can also make use of the Kennet Leisure Centre for fitness and swimming; or indulge in the town’s sports facilities from rugby to cricket, tennis and football. Aside from these local attractions, the town is highly sought after due to its first rate schools, speedy commute to London Paddington and wide selection of properties. This continues to attract both families and young professionals. Now considered ‘The Growth Town of West Berkshire’ there’s never been a better reason to join the friendly residents of Thatcham. 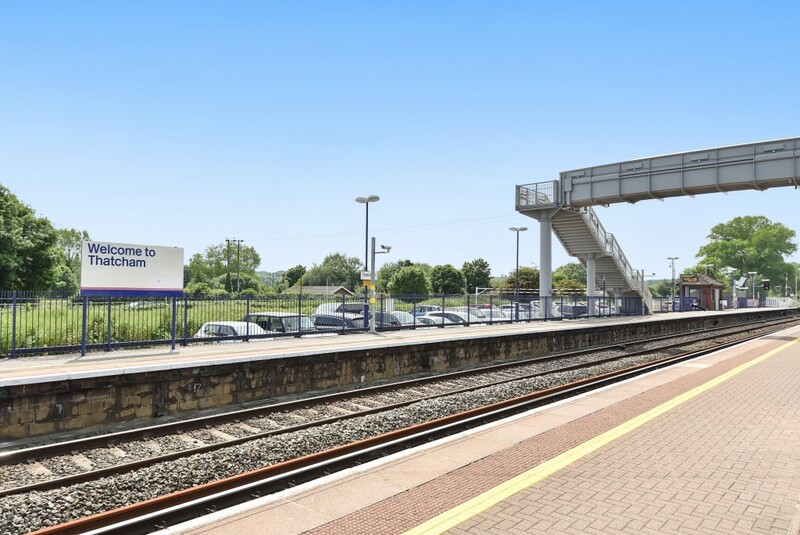 Thatcham may be situated amidst scenic countryside, but it still promises an easy commute for those travelling to the capital. At Thatcham Railway Station, a fast mainline service to London Paddington takes just under one hour. Frequent trains depart to local towns such as Reading, while some services continue to Bedwyn. Those travelling by car have the convenience of the nearby M4 corridor which is reached in only 10minutes. This links to Reading in less than half an hour, and promises a speedy commute to London, as well as other major cities across the south. For the frequent flyer, Heathrow is the closest international airport with a journey time of approximately 44minutes. Parents have an excellent choice of schools in and around Thatcham. There are over 10 primaries in the area, many of which have been judged ‘outstanding’ by the government watchdog, Ofsted. Some of the most sought-after include Hampstead Norreys C.E, Curridge Primary, Ashford Hill and St Finian’s Catholic. At the secondary level, many opt for Kennet School, a coeducational that caters for children aged 3 to 18. Not only is it judged ‘outstanding’, but the school is amongst the top 5% in the country in terms of pupil progress. Alternatively, some of Berkshire’s best private schools are located within easy reach. Downe House is the closest which is an independent girls’ school offering day and boarding facilities. Bradfield College is another popular choice – known for its Greek theatre – not to mention the esteemed St Gabriel’s School for girls in Sandleford. For higher education, students have the convenience of nearby Newbury College. A range of courses cover everything from first degrees to HNDs and apprenticeships. Few places in the UK boast such a rich and varied history. After all, Thatcham is widely considered to be the oldest inhabited place in Britain. Evidence of settlements date back to prehistoric times, while other remains have been discovered of an Iron Age clearing and Roman town. 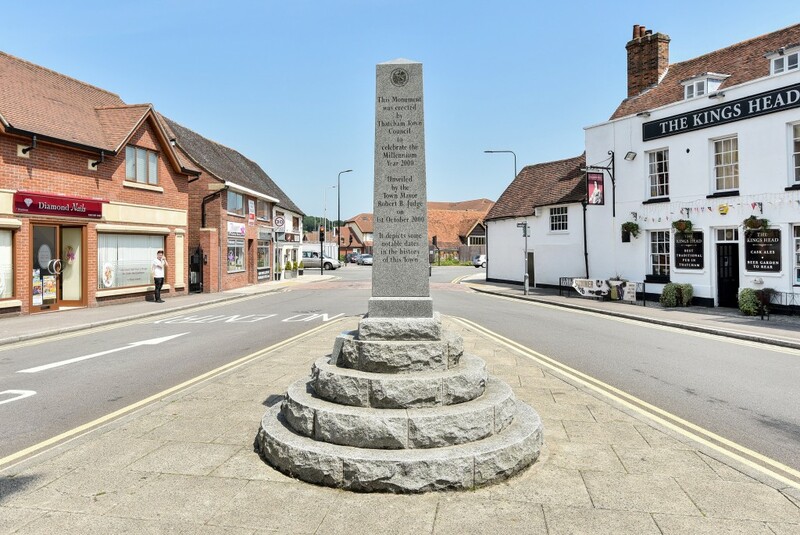 Although little is known of this early period, it’s thought that Thatcham gained its name from a Saxon chief called ‘Tace’ who established the small village. The name Taceham was recorded during the Norman Conquest, but it would later change to Thatcham in the early 16th century. By the medieval era Thatcham had developed into a bustling rural community. A weekly market attracted visitors from far and wide, bringing prosperity and growth. Despite the devastation caused by the plague, the area would flourish once again thanks to its strong community values. This rich heritage is still present today, not least at the weekly market, a staple since the 12th century. By road: Thatcham can be reached from Junction 13 of the M4 for those travelling from the west, or Junction 12 from the east. Due to its proximity to the M4, Thatcham is well signposted after exiting from either of these two junctions. By rail: Thatcham railway station offers mainline services to London Paddington, and links to all major towns and cities in the region. Our Thatcham office opened its doors in 1980 and is located in a stunning, Grade II listed building, befitting of the history that surrounds this beautiful Berkshire town. 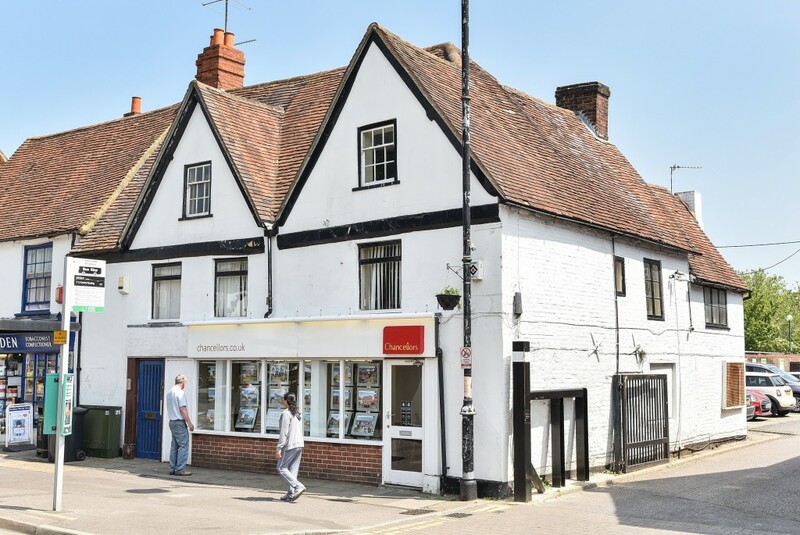 The branch is conveniently situated on a prominent part of Broadway at the heart of the town centre, making it ideal for buyers, sellers, landlords or tenants who’d like to take advantage of Chancellors’ knowledge of property values in Thatcham. 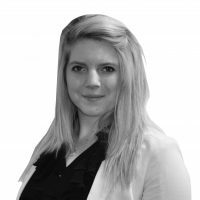 Whether you are looking to sell, let, rent or buy property, the sales and lettings teams at our Thatcham branch are enthusiastic, motivated, experienced and dynamic, and are always happy to help; seven days a week – including late evenings on Monday to Friday. 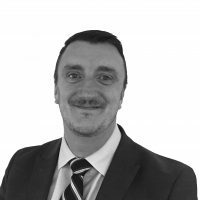 The wide range of sales and letting services available at our Thatcham office include free, no-obligation market appraisals, an extensive portfolio of residential and commercial properties, land and new homes, property management support, and expert investment and market advice. Thatcham, Cold Ash, Upper Bucklebury, Brimpton and Woolhampton. On your team from day 1 to move day.